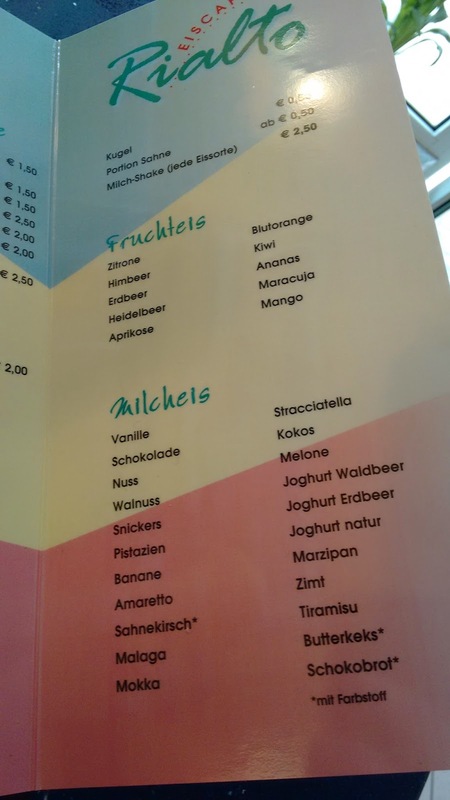 I took a photo of the menu from Eiscafe Rialto in Kaiserslautern (read my review here). I would have to say it's been my favorite ice cream store for how delicious the ice cream is. When I order, though, I always get a little bit of the "no soup for you" vibe from the lady who works there. Just like Elaine, I don't care and order anyway. 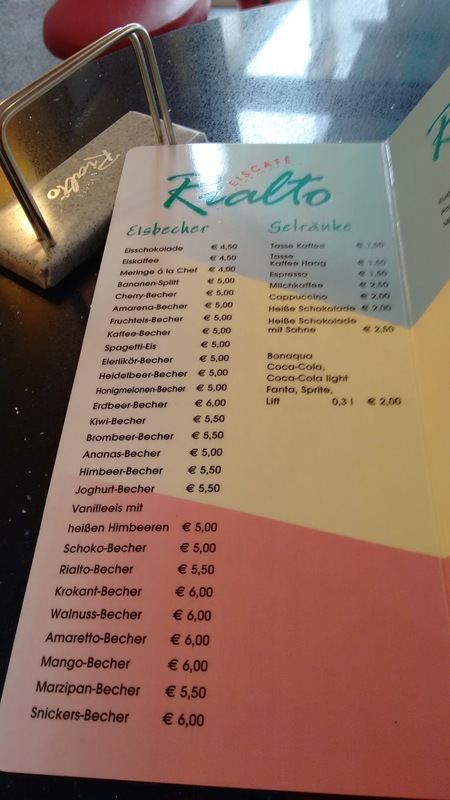 Enjoy the menu. Writing the title of this blog made me think of The Umbrellas of Cherbourg, which has absolutely nothing to do with ice cream.